Provide comfort for the family of Warren Nichols with a meaningful gesture of sympathy. Warren “Nick” Dean Nichols, 54, of Hailey, Idaho, passed away Saturday, January 5, 2019 at Lincoln County Care Facility in Shoshone, Idaho. Warren, the son of Gene Nichols and Doris Jackson, was born April 29, 1964, in Navasota, Texas. Warren graduated from High School in Kalispell, Montana in 1982. He then went on to serve a mission in Louisville, Kentucky, for The Church of Jesus Christ of Latter-day Saints. He attended school at Ricks College in Rexburg, Idaho before starting his own landscaping company in the Burley/Paul area. He also worked bell service for Sun Valley Company, taking full advantage of the skiing benefits. This is where he met Rebecca Gibson who he married in 1994. They managed a car rental business together in Hailey before Warren started his own masonry company in the Wood River Valley. Warren enjoyed watching movies in his spare time. He loved to draw and create art and use his artistic talent for building furniture and woodworking projects. 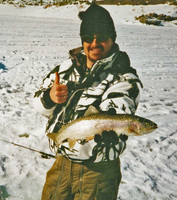 He had a passion for hunting, fishing and the outdoors, which is why he loved living in the Wood River Valley. He had a creative mind and was always busy coming up with new inventions. 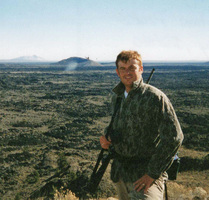 Warren invented a unique hunting hat during one of his business adventures, Game Face Gear, with his business partner and friend, Doug Niedrich. Warren was preceded in death by his mother, Doris Jackson. Survivors include his father, Gene Nichols & wife Patsy Williams of Millican, Texas; three daughters, Olivia 20, Sarah 19, and Isabelle 15 of Ogden, Utah; brother, W. Allen Nichols of Navasota, Texas; sisters, Jeannice and husband Jeff Shiver of Hailey, Idaho, and Jana and husband Duane Henderson of Montgomery, Texas, along with many nieces and nephews. 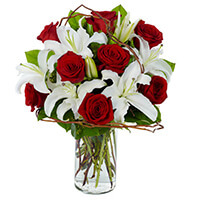 To send flowers in memory of Warren Dean "Nick" Nichols, please visit our Heartfelt Sympathies Store. Ellsworth family sent flowers to the family of Warren Dean "Nick" Nichols. Condolences to your family. Wishing you some peace and comfort in this time of sorrow. Ellsworth family purchased the ETERNAL EMBRACE for the family of Warren Nichols.